On Saturday the United Kingdom’s 2018 Eurovision representative, SuRie, concluded her UK tour in Maidstone, Kent. 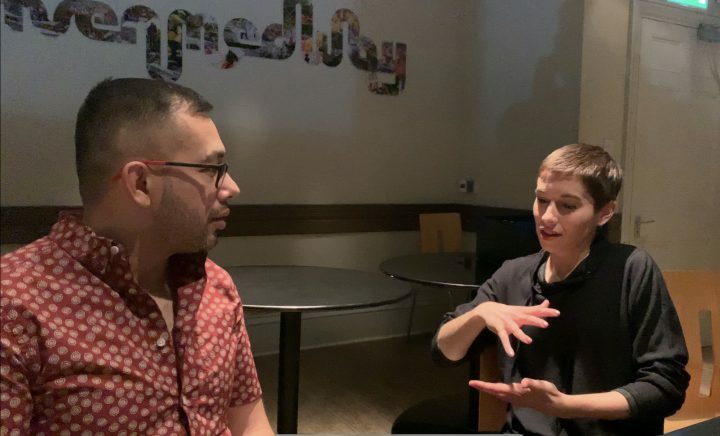 Before she took to the stage SuRie invited Nick from ESCBubble for a chat about the success of her tour, the idea behind her forthcoming album ‘[ˈdʌz(ə)n]’ and most importantly would she do Eurovision for either the UK or Belgium again? SuRie took the captivated audience through a really intimate set and before each song she let us into a part of her life with a little story, explaining why each song had made her Scrapbook. She was ably supported on the night by a really exciting new talent called Bella Chipperfield, who we really think you should check out! ESCBubble captured some of the Eurovision memories performed by SuRie on the night including some new interpretations of ‘Rhythm Inside’ (Belgium 2015), ‘City Lights’ (Belgium 2017), ‘Toy’ (Israel 2018) and ‘Storm’ (United Kingdom 2018). ESCBubble would like to wish SuRie all the best with ‘[ˈdʌz(ə)n]’ and you can pre-order your copy here!